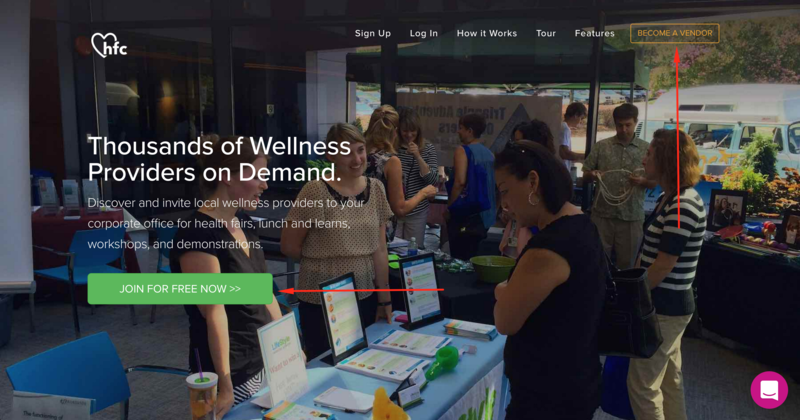 Health Fair Connections | How do I create a vendor profile on HFC? Before you can gain access to HFC, you need to create a free, vendor profile. Yep, I said free - no strings attached. 1. Click the large, green "Join For Free Now" button. It will take you to a page with two options, and you will want to select, "I present at health fairs." 2. Click, "Become a Vendor" at the top of the homepage. This will take you directly to the vendor signup form. As mentioned above, the last thing you'll need to complete is the vendor signup form. Once you knock this out, you have full access to HFC's platform.